Cauda Equina Syndrome is an emergency medical condition in which the Cauda Equina, a group of nerves located in the lower back, become damaged. Immediate treatment is required if the patient is to have any hope of recovery. Time is critical. A misdiagnosis or error can result in permanent disability and other life-shattering medical issues. If these mistakes were due to negligence on the part of a physician, nurse or another healthcare professional, you should not have to undergo any economic hardships as a consequence. Long-term care, physical therapy, and medical devices are just a few of the costs facing patients who have been in injured due to medical malpractice related to Cauda Equina Syndrome. How are you going to pay the bills? 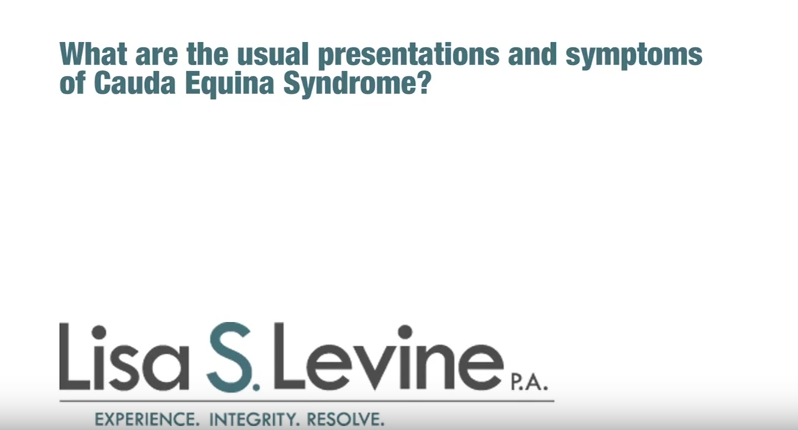 With an experienced Boca Raton Cauda Equina Syndrome attorney at your side, you will dramatically increase your chance to receive the maximum compensation you deserve for all the pain, suffering and financial losses. Cauda Equina Syndrome is a serious condition in which the section of nerves at the base of the spinal cord becomes compressed, usually as injury or surgery. Long-term damage to the lower extremities of the body and organs in the pelvic area can result if not treated promptly. A patient with these symptoms should undergo immediate diagnosis and treatment of Cauda Equina Syndrome. When the nerves of the Cauda Equina become compressed, the loss of blood flow can result in permanent damage. If treated promptly, the damage to the nerves can be minimized. For the patient to have a successful recovery, it is imperative that physicians correctly diagnose the problem by ordering the appropriate diagnostic tests, including a lumbosacral spine X-ray, an MRI, or a CT scan, without delay. Without immediate medical attention, the symptoms of Cauda Equina Syndrome can become permanent disabilities. 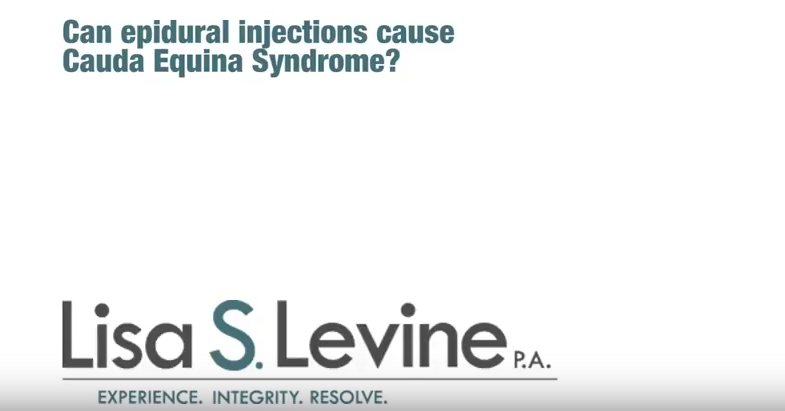 Sadly, for many patients who suffer from Cauda Equina Syndrome, their injuries could have been avoided if proper medical treatment was administered. Ongoing treatment for injuries resulting from medical malpractice during the diagnosis or treatment of Cauda Equina Syndrome includes special medication, physical therapy, medical devices and long-term drug treatments. These treatments can be very expensive in the long-term. The insurance companies who represent medical practitioners in malpractice claims often fail to offer the total amount of financial support needed for those suffering as a result of Cauda Equina Syndrome, so it is important that victims seek a settlement amount that will truly cover all their medical and financial needs, now and in the future. 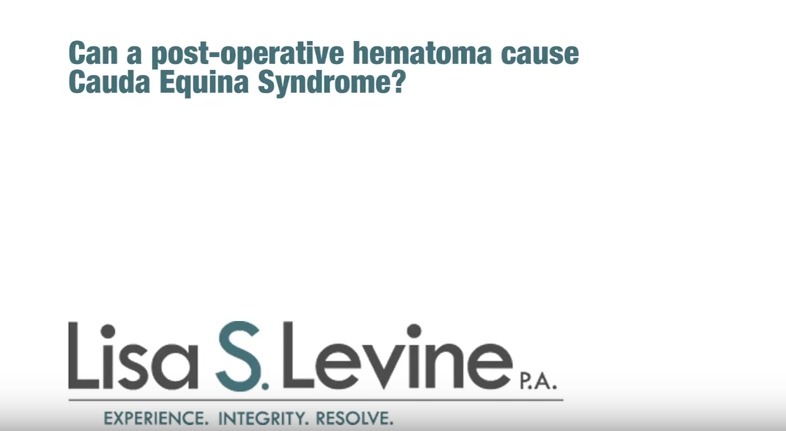 Expert testimony from medical and neurosurgical witnesses regarding the failure to diagnose and treat the condition by the patient’s healthcare providers is also crucial to proving your medical malpractice claim for Cauda Equina Syndrome. This testimony will serve to demonstrate that immediate and emergency surgical intervention was critical when treating your Cauda Equina Syndrome. You don’t want just any Boca Raton medical malpractice attorney representing you. 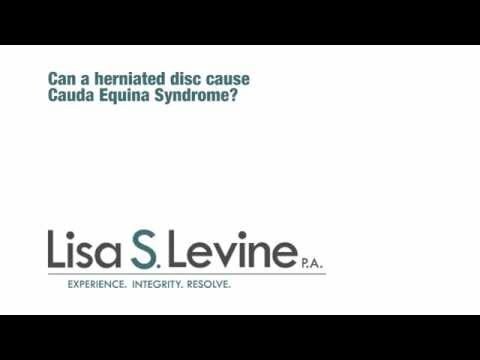 You need an attorney who possesses the skills and resources to pursue the facts in a Cauda Equina Syndrome claim, one who genuinely cares about the welfare of you and your family during this crisis. 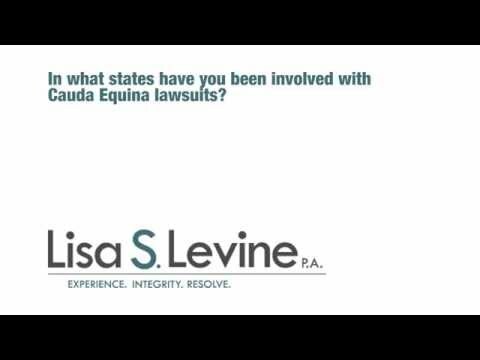 For over 30 years, Lisa Levine has successfully represented clients in hundreds of medical malpractice claims in Florida, including many related to Cauda Equina Syndrome. 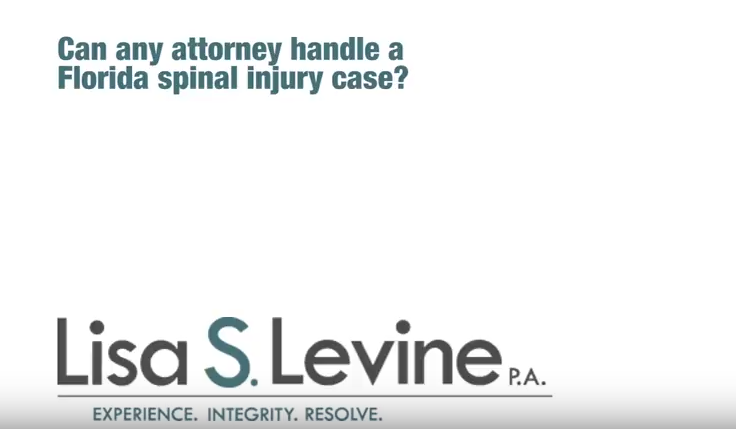 She knows exactly what is necessary to ensure that you receive the compensation that you are rightfully owed for any damages related to your Cauda Equina Syndrome injuries. Lisa will aggressively negotiate with the doctors, hospitals and their insurance companies to obtain the full compensation you are due. Don’t hesitate to call Lisa’s at 954-256-1820 or contact her offices online to schedule a free consultation. Weekend and evening appointments aren’t a problem. And if your injuries make it difficult for you to come into our offices Lisa will be happy to meet with you at your home or hospital room. During your consultation, she’ll review the facts in your case, answer any questions you may have and provide frank, professional advice on the best way to proceed with your case. Lisa handles Boca Raton medical malpractice cases on a contingency basis, which means you won’t owe her anything unless she wins your case. As an expert Cauda Equina malpractice attorney, Lisa Levine has helped clients in Boca Raton, Boynton Beach, Delray Beach, Kings Point, Deerfield Beach, Coral Springs, Highland Beach, Parkland, Pompano Beach and other South Florida communities and throughout the United States. She can help you, too.